The truth is, the Raspberry Pi has so many operating systems available that you’ve probably lost count — we certainly had! 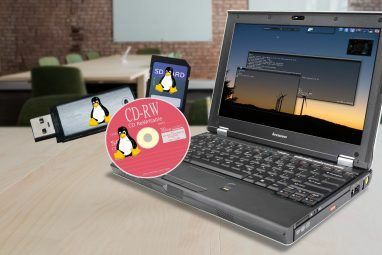 Along with compatible operating systems that aren’t Linux — such as RISC OS — Raspberry Pi users have a pick of TEN other distros. Fedora fans and newcomers alike get two options on their Raspberry Pi. First is the standard Fedora, whose team has developed an ARM image that is actively maintained alongside the standard 32-bit and 64-bit versions. This is designed for the Raspberry Pi 2 — find out more on the official project wiki. Also available is Pidora, a Fedora Remix available for all models of Raspberry Pi. However, as the official Fedora version is now available, Pidora is really limited to older Pi devices such as the Model B and B+. A Linux distro that typically demands that you compile the code, rather than install using a pre-defined image (although a Gentoo distro with an installer Install Gentoo the Easy Way With Sabayon Install Gentoo the Easy Way With Sabayon Read More is now available for desktops), Gentoo uses a Kernel image provided by the Raspberry Pi Foundation and is relatively straightforward to install. As a result of this, you’ll find that there’s a bit of configuration to perform before you can use it. As compiling and building code on the Raspberry Pi can take a while (even on the multicore Raspberry Pi 3! ), Gentoo for the Pi supports crossdev and distcc. These are distributed compiling utilities that you can use to divest responsibility for compiling to your faster desktop computer, across your local network. Now, this distro is a bit different. While you’ll be able to do some standard Raspberry Pi computing with ROKOS, the distro — also available for Pi-alikes Pi Overdose? Here's 5 Raspberry Pi Alternatives Pi Overdose? Here's 5 Raspberry Pi Alternatives You've mastered the Raspberry Pi - now what? 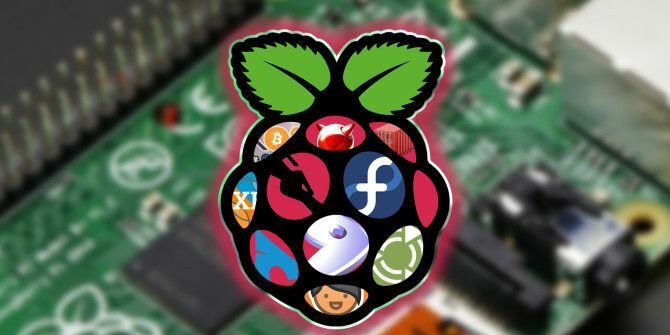 Here's 5 of the best Pi alternatives to have a go with next. Read More the BananaPi PRO and PINE64+ — is a Bitcoin-focused operating system based on Linux. Best of all, it turns your Raspberry Pi, 2, 3, or even Zero, into a cryptocurrency Blockchains, Merged Mining, & ASICs: Lingo You Need To Know About Cryptocurrency Mining Blockchains, Merged Mining, & ASICs: Lingo You Need To Know About Cryptocurrency Mining Have you kept yourself away from cyrptocurrencies or a discussion on their future? It's easy to get lost in the lingo. Don't get left out with this handy reference guide. Read More client or node. Bitcoin and other popular cryptocurrencies are supported, and running a node is very important for the long-term survival of cryptocurrencies, as they’re required validate and relay transactions. ROKOS also supports cryptocurrency mining, so if you have some compatible ASIC hardware, you can try hooking it up to your Pi and see how much you can make! This Debian-based distro uses the Xfce desktop and is compatible with the Raspberry Pi 2 and 3 boards. You’ll need at least 4GB on your SD card, and the rootfs will be expanded upon first boot to use the full capacity of the flash storage. Based on the SolydXK distro, which you can see below, SolydX RPI is intended as a lightweight distro that doesn’t sacrifice functionality, and comes with built in support for the RemotePi board, a useful device that enables any remote control to switch a Raspberry Pi media center on or off. Epiphany web browser and Claws email client are included, along with LibreOffice, and VLC player for media playback. Available early on for the Raspberry Pi 2, Arch Linux is packaged in the NOOBS installer How NOOBS For Raspberry Pi Can Help First Time Users How NOOBS For Raspberry Pi Can Help First Time Users There is something about the Raspberry Pi that might just put people off: until now, setting it up has not been particularly user friendly. NOOBS aims to change that! Read More and therefore comes as an alternative for many Pi owners. While we don’t know how many have tried it, we’re pretty certain that those who haven’t, should. Everything you expect from a Raspberry Pi distro is available on Arch Linux, although if you’re looking for development tools these may need to be installed manually, depending on which build you’re using. As an alternative to Archlinux for the Raspberry Pi, consider the project fork Manjaro-ARM. As befits a more mainstream Linux distro, Ubuntu MATE 16.04 requires at least an 8GB microSD card and has integrated Wi-Fi and Bluetooth drivers for Raspberry Pi 3. Should you be planning to use any apps that require a fully expanded file system, there’s a shortcut for this on the Welcome screen, Raspberry Pi Information > Resize. Ubuntu MATE 16.04 comes with many of the pre-packaged apps you would expect, and hardware accelerated video is supported. If you’re looking to get as much “oomph” out of your Raspberry Pi as possible, a stripped-down version of Linux might seem a good option. To this end, you might want to take a look at Moebius, a minimal Linux distribution for the Raspberry Pi. Compatible with the Raspberry A/+ and B/+ models, the OS runs on an SD card as small as 128MB, although you’ll no doubt want something a bit larger than this and take advantage of the remaining space. One shortcoming you might encounter is the limited size of the repository, which contains 5000-6000 apps and utilities. However, these should cover most eventualities, and you can manually install/compile if you need a tool that isn’t available. 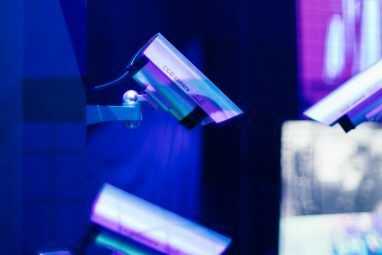 Designed to enable penetration testing of your local network (home or corporate), Kali Linux is arguably the de facto tool for white hat security experts performing ethical hacking Can You Make A Living Out Of Ethical Hacking? Can You Make A Living Out Of Ethical Hacking? Being labeled a “hacker” usually comes with plenty of negative connotations. If you call yourself a hacker, people will often perceive you as someone who causes mischief just for giggles. But there is a difference... Read More . While Kali Linux is usually found on laptops and desktop computers, the ARM version is compatible with the Raspberry Pi. This naturally opens up a whole host of possibilities for the Pi, potentially as a battery-powered 3 Raspberry Pi Battery Packs for Portable Projects 3 Raspberry Pi Battery Packs for Portable Projects A Raspberry Pi battery can make a regular Pi into a portable computer. You'll need one of these battery solutions to get started. Read More pen-testing device, testing the security of open Wi-Fi networks, and generally helping out unprepared free wireless Internet users in cafes and shopping malls. Sure, this is a specialist application of a Linux distro, but it’s one you should have ready to run at any time. BSD isn’t strictly Linux, but like Linux is a UNIX-like operating system. So it’s close enough for the purposes of this list, as FreeBSD is available to install and is known to be fully compatible with the Raspberry Pi 2 (and partially compatible with the Raspberry Pi 1 model B boards). FreeBSD also has some compatibility with the Raspberry Pi Zero. Check this video to see a Pi running FreeBSD controlling some LEDs via the GPIO. Additionally, there’s an alternative distro, RaspBSD, which runs on the Pi and Pi 2 (as well as offering images for BananaPi and BeagleBone Black and Green boards). One of the most overlooked operating systems for the Raspberry Pi, this is a free Debian-based distro that is usually installed on Raspberry Pi’s bought as part of the Kano kit Kano: The DIY Computer For Kids To Code and Learn (Review and Competition) Kano: The DIY Computer For Kids To Code and Learn (Review and Competition) Can a small child build a computer and learn to code on it? To find out, I tested it on one 3 year old boy with little experience of computers, and his 9 year cousin,... Read More . While the kit itself is quite pricey (although it comes with everything you need to get started with a Raspberry Pi), what many users don’t realise is that the Kano OS is free! The Kano kits are aimed at children, so the OS has a child-friendly user interface. This shouldn’t put off adult users, however, as the distro is equipped with Kano Blocks, a visual programming language, and multimedia tools. You’ll also find pre-installed versions of Pong and Minecraft Pi (which you can learn Python scripting and electronics with Learn Python and Electronics with Minecraft Pi Edition Learn Python and Electronics with Minecraft Pi Edition Have you always wanted to learn to code but didn't know where to start? Learn how to control Minecraft on the Raspberry Pi using Python and some simple electronics. Read More ). Kano OS is compatible with the Raspberry Pi 1 Model B, 2, 3, and even the Raspberry Pi Zero Getting Started with Raspberry Pi Zero Getting Started with Raspberry Pi Zero Whether you bought a magazine with one glued to the front, or found a kit online, the chances are you're now the proud owner of a $5 computer: the Raspberry Pi Zero. Read More . Have you tried any of these Raspberry Pi distros? Perhaps you’re happy enough with Raspbian? We know that other specialist distros exist (such as for penetration testing, for instance), and we’re looking forward to you sharing your favorite operating system for the Raspberry Pi. Tell us all about it in the comments! 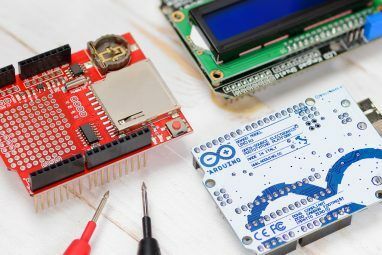 Arduino Programming for Beginners: Traffic Light Controller Project TutorialWhat Is a Linux Rolling Release, and Do You Want It? I have been using minibian for a while for embedded/no GUI projects. I first of all make it read-only root, and strip out systemd. I am looking to create a new version based on devuan soon (which also whould make it into the favourites list soon). Great post! May have to try a few of these on my Pi. I mainly use Kodi, RetroPie, and Raspbian. Got a friend who set up Hannah Montana Linux on their Pi to run an IRC for work and reportedly it runs flawlessly. It's just a skin... (fortunately) and even that's too much for me to stomach. It does! Here's another vote for DietPi for no better reason than it's not a distro BUT a guided operating system that allows you to install the software you want, when you need it and not have to worry about knowing what it's called in the repo!